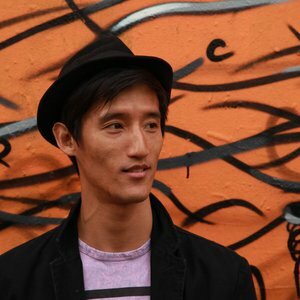 As a Director and Choreographer, Supple (Guillermo Martin Nam) has pushed boundaries with his unique understanding of dance and movement across TV, theatre, film, music and advertising industries. Fusing dance styles and culture, he won “Most Innovative Choreography in TV and Film” (VW Golf GTI “Singing in the Rain” commercial), "Best Choreography in a video" UKMVA (Music video Money by Peace) and "Best Live Action SFX" British Arrows Craft Awards (Honda HR-V "Stepping" commercial). His involvement in TV includes "Britain's Next Top Model", MTV's "Bust a Move", "So You Think You Can Dance” (Australia and UK), Nickelodeon and BBC’s “Street Dance” tutorials. He previously worked with international superstars like Madonna and Destiny’s Child as a dancer/performer enabling him to make a smooth transition to a Choreographer for other international artists such as M.I.A, Jamiroquai, Chemical Brothers, Bollywood star Hrithik Roshan,Arab music legend Amr Diab as well as many other award winning artists. Consistently growing in his art, Supple has been commissioned to present and direct live shows in London, Australia and Korea.